1. The owners, Debbie and Jamie, are so down to earth and very welcoming. I first came across Judge Bao at The Street Food Collective (SFC), where Debbie was so friendly and happily explained all the dishes they serve, including the preparation and ingredients used. It was great to see a couple so passionate about their product. 2. The bao, of course. Fluffy cloud-like bao, all delicately homemade, using Debbie’s mum’s recipe. The bao are then filled with heavenly ingredients, from pulled pork to mapo tofu to lamb. 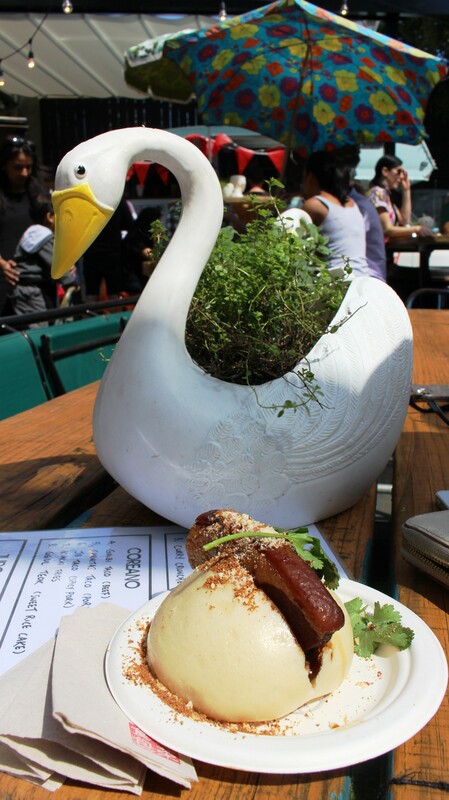 My favourite so far is definitely the black vinegar braised free range pork which I tried at Auckland’s Street Eats. The pork was perfectly cooked and gone in a flash! 3. The presentation. You will find that Judge Bao are generous with their fillings and also have great toppings – pickles, sriracha sauce, sesame seeds, spring onion and peanuts. They also serve fried chicken, which is delicious. 4. Their fortune cookies. When I was last at the SFC, I received a fortune cookie with my bao. The messages inside the fortune cookies are hilarious and not the normal ones you would get. I love the added extra bit of fun! 5. Seeing them around town at various events – most recently at Street Eats and now they are doing a pop up with Tiger Burger on O’Connell Street in the CBD! Seriously get to Judge Bao now if you haven’t already – you will literally be in ultimate foodie heaven!!! Aw yes, which is one of the main reasons I keep going back!!! All I have to say is YUM! It looks so tasty. I’ve never tried Judge Bao but I’ve heard so much about it. It looks amazing. I grew up loving pork buns and I can just eat the dough because it’s so good. I’m really keen to try this now. Let me know if you do Angela! Hehe their dough is amazing, so light and fluffy!